Roughly a dozen rockets were fired from Lebanon into Israel during Operation Protective Edge, and residents of the north have reported signs of terror tunnels being dug into Israel from the country – but according to the head of the Upper Galilee, there’s nothing to worry about. One such “scenario” that Zaltz was asked by concerned residents about recently was raised in an odd security briefing last Sunday. In it, a senior IDF Northern Command officer caused concern by saying Hezbollah could possibly capture Israeli territory for several hours before being pushed back by the IDF, in a war that could take four months to win. “I’ll tell you what’s more, here you don’t need a tunnel to cross the border. 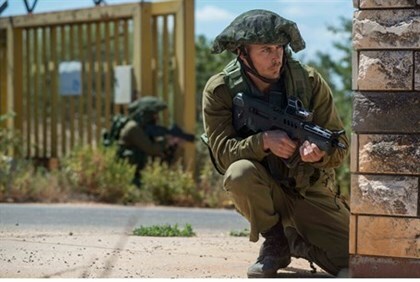 Twenty-two communities are already on the confrontation line adjacent to the border, so that if someone wanted to do something they wouldn’t need a tunnel,” said Zaltz, in a statement unlikely to reassure many. “But as I said no one has the will to start a new campaign today, certainly not on the other side; all of the commentary is irresponsible,” concluded Zaltz. ← We are writing to you today to ask you to ask God about supporting our work here in Israel.